"Our biggest fight is against the clock," Mr Correia told a news conference, adding that 3,000 people had so far been rescued. 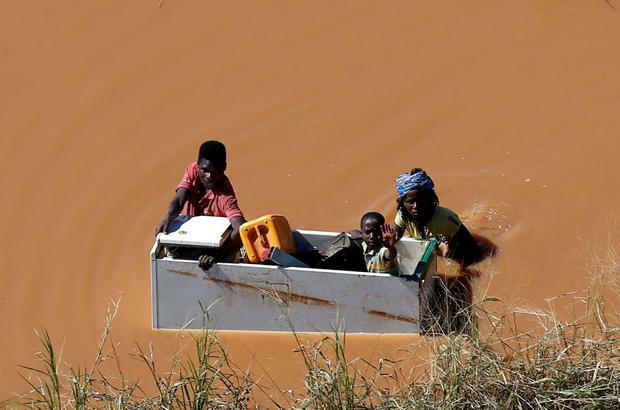 "This is a catastrophe... Cyclone Idai has destroyed so much in an instant and it will take years for people to recover what they have lost," said Edgar Jone, country director in Mozambique for the Christian aid charity Tearfund. "Here in Beira, all the churches have collapsed from this cyclone. Oh my dear brothers, please pray for us," said Pastor Luis Semente. "Only God can restore this." China, a major investor in Mozambique, also expressed its willingness to help, Portugal's Lusa news agency reported. Mozambique's tiny $13bn (€11.4bn) economy is still recovering from a currency collapse and debt default.